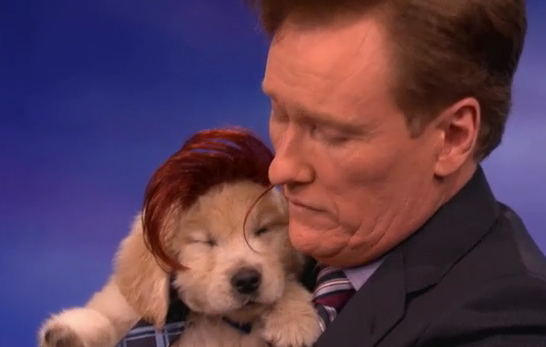 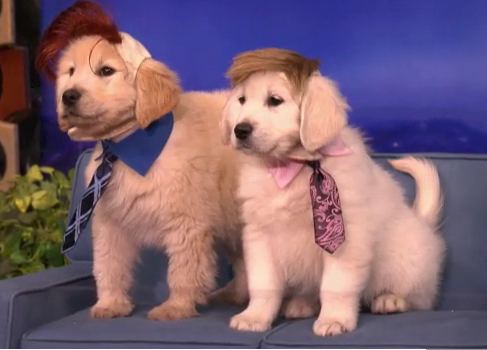 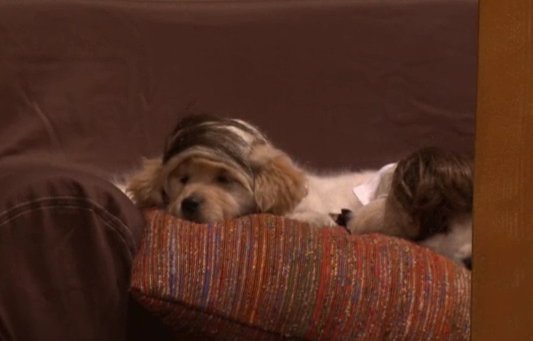 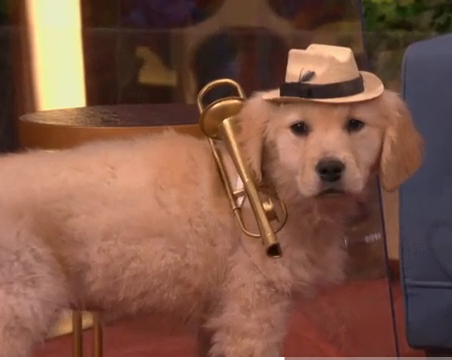 Conan O’Brien once again had the segment Puppy Conan on last night’s show in honor of the Puppy Bowl. 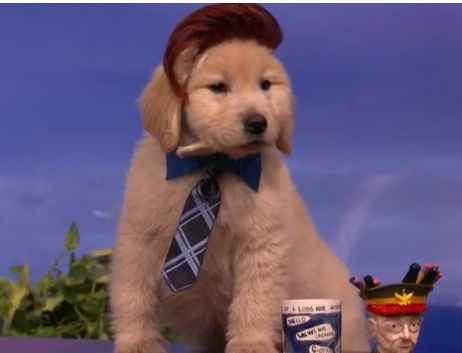 The tiny replica set was wheeled out and Golden Retriever puppies played the roles of Conan, Andy, La Bamba, Ke$ha, and a set of sleepy puppy network executives. 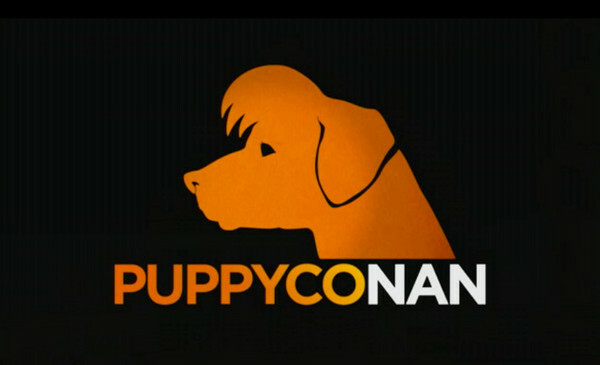 You can see the video of the segment on teamcoco.com.